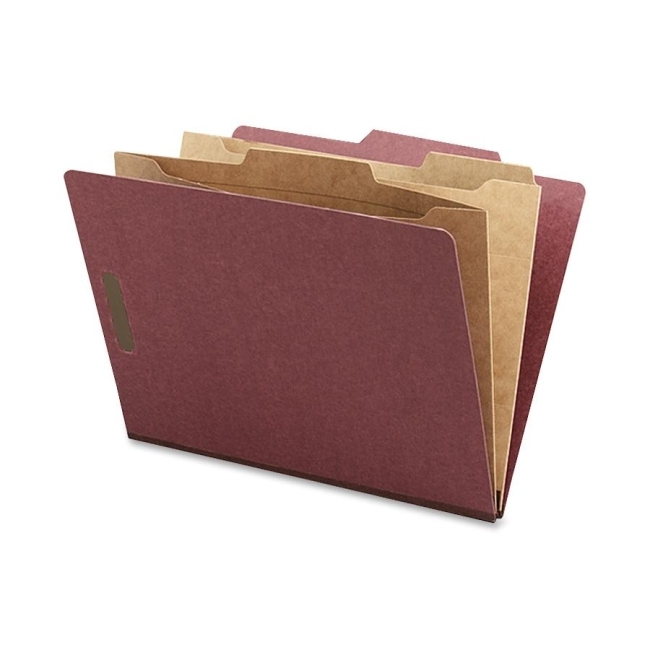 Classification folders keep projects organized by client or financial reports by quarters. Perfect for holding certificates, photos, or computer disks that cannot be punched or stapled. Two 2" capacity fasteners on front and back cover. Two 11 point pocket dividers with 1" bonded fasteners on each side. Each folder expands to 2-1/4" and has 2/5 cut tabs. Folders are made of at least 60 percent recycled material with 30 percent post-consumer material.